Red may be the color of passion, but its visual impact is quite something to behold. When used in interiors it has to be taken down a notch in order to meet the visual weight of the opposing, contrasting color scheme. The implications of red in any interior design call for a series of dramatic visuals that are certainly far from low-key. The overall creative outlet of this color within a space has to be controlled, otherwise you end up with spaces that are either too snazzy or too claustrophobic. The color red needs to be doled out in careful, strategic doses that allow for a sharp, but contagiously passionate interior. Today, we will be looking at 5 interiors that showcase the best of red. Red can be used in many styles and aesthetics, but its main attraction is always the strong reflective qualities of the color itself. 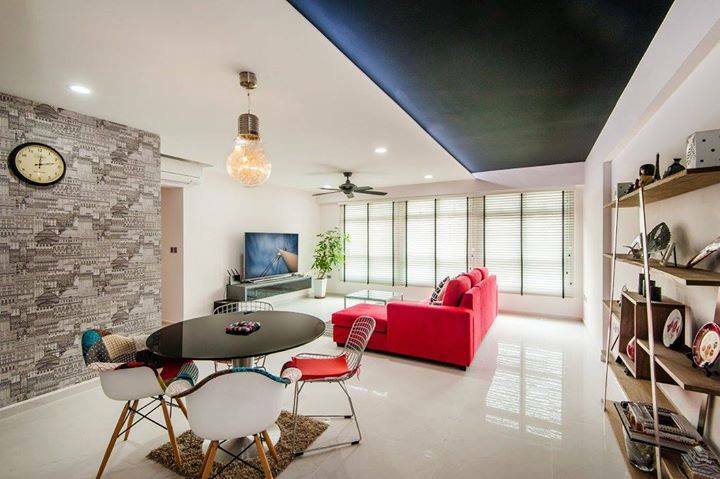 In the image below, you will notice how expertly all of the spatial construction has been manipulated to make the color red a feature part of the interior presentation. 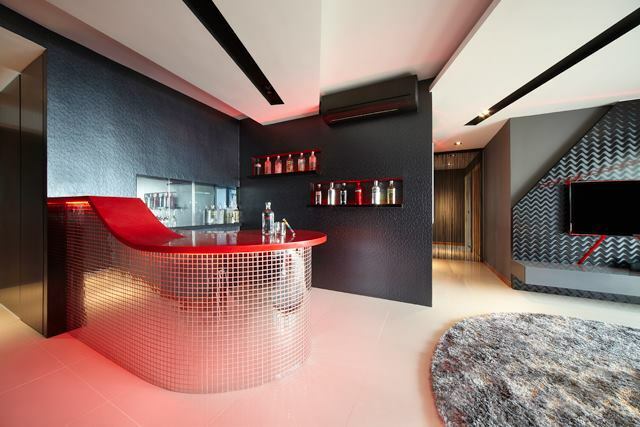 It is bright, and it is overpowering, but that has been balanced out by the use of the black in the backdrop, and highlighted by the silver footstool of the bar arranged in a mosaic of disco ball texture – snazzy and out of the box. 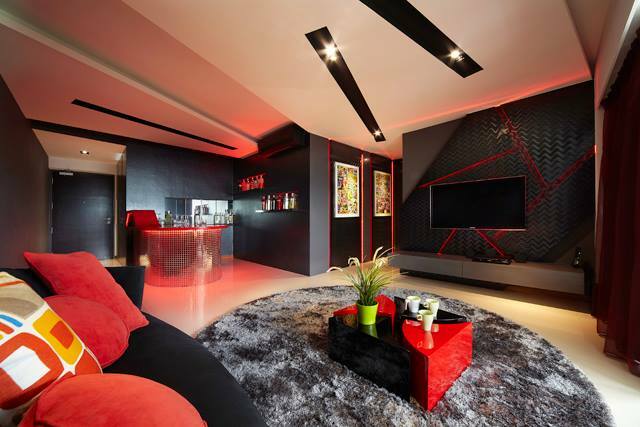 In the image below, you will see an interior that uses red in a literal jagged application. The color itself is used in bits and pieces while being regularly harmonized by the use of black, which has equal visual weight. 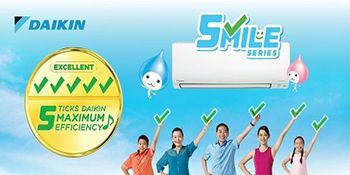 The overall implication of this design is quite contemporary and exceptionally fashionable. Red has some very qualitative reflective essence. If used in tandem with materials that break away from convention, or against a decidedly white background – or even foreground – red can become splashy. This can be intentionally used as part of the interior if the mood calls for it. Sometimes, colors can be used in temporary fixes and starts throughout the interior spaces. Most of the time, these temporary canvases are furniture upholstery, the most frivolous of which is the bedcovers. 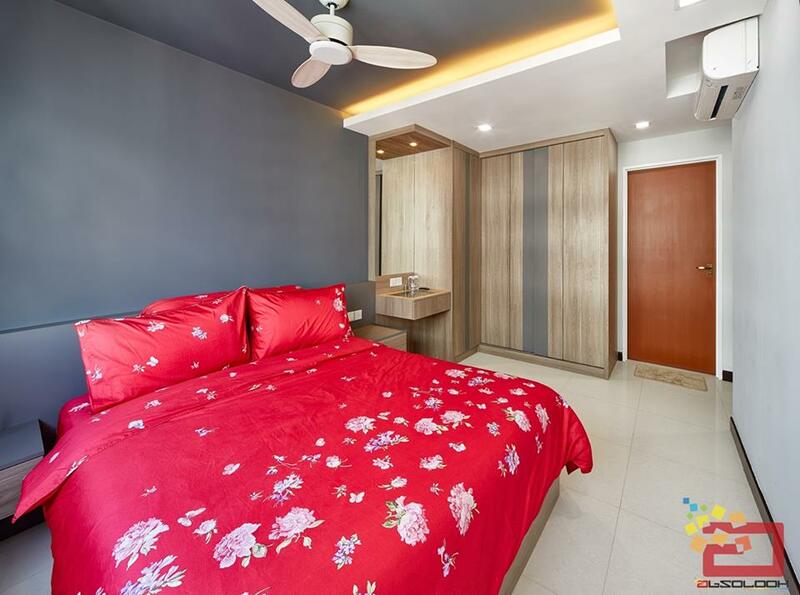 As you can see in the image below, the red bedspread creates quite the splash within the otherwise dull interior scape. 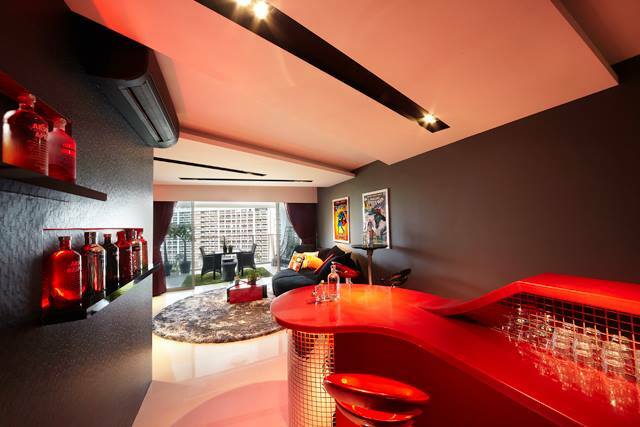 Red is a color that has a severe visual impact within any interior. Its visual weight carries a lot of strength, and even a small amount within a large space can seem impactful. In the interior below, you will notice how, even within various colors and backdrops, it is the red sofa set that stands out the most.